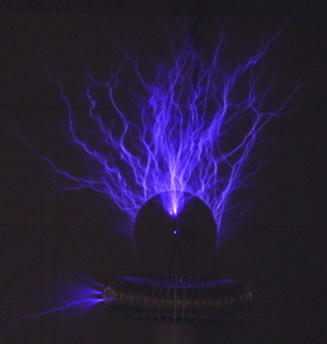 Spark gap based Tesla coils are fairly easy to build in general. 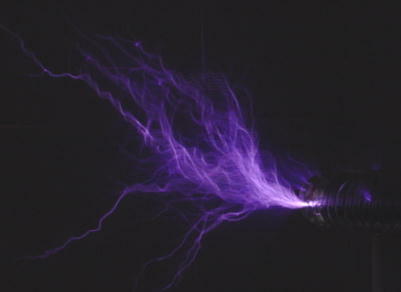 I used my Jacob's ladder's 12kV neon transformer as the high voltage source for the large Tesla coil. Below is the schematic diagram. 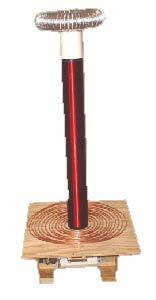 Primary: 12 turns of 1/4-inch copper tubing, about 1/2-inch spacing, tapped to about 11 turns. 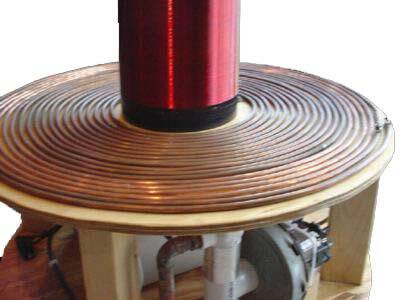 Secondary: 23 AWG magnet wire on 6-inch diameter PVC, 28 inches of winding from bottom to top of pipe. Capacitor: MMC with a string of ten 0.15uF 3kV Cornell Dubilier capacitors bought through Richardson Electronics. 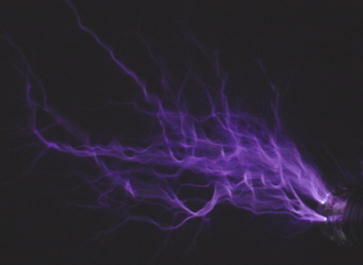 Overall capacity is about 0.015uF at 30kV. 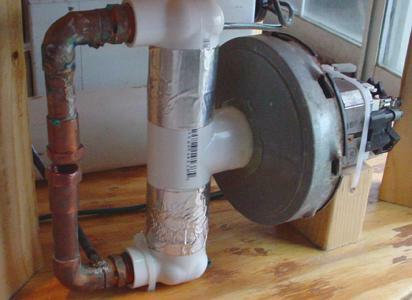 The early version had a 4-inch PVC secondary coil form. Primary: 17 turns of 0.25" copper tubing, 0.2" spacing. Secondary: 23-gauge magnet wire 6" diameter PVC, 28 inches from bottom to top of windings. 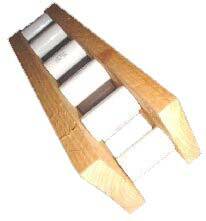 Spark Gap: Single vacuum ("sucker" gap) spark gap, 1-inch copper pipes about 0.25 inches apart. 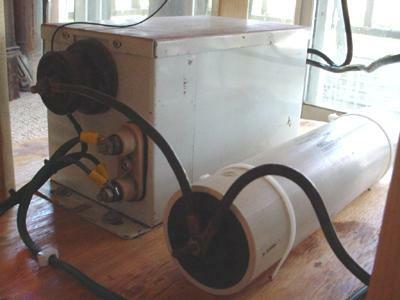 The current version with 6-inch PVC secondary coil form. 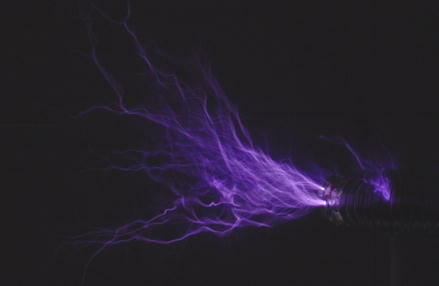 An ion motor could be created to run off this Tesla coil by using a base made of thick solid wire and the moving part with 22-24AWG magnet wire as shown in the diagram below. 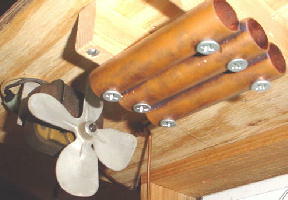 The ion motor in operation.